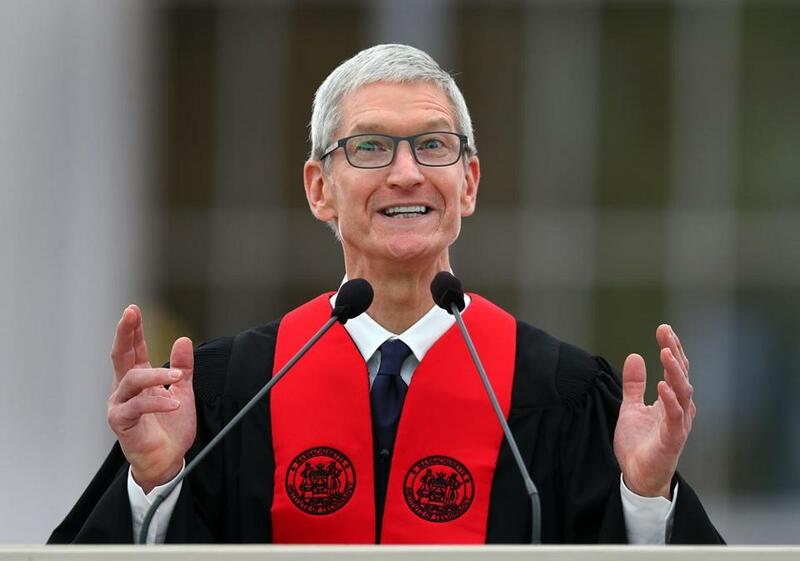 Tim Cook at Friday’s MIT commencement. Apple chief executive Tim Cook was spotted at his company’s Boylston Street outlet Friday. Tim Cook and Eddy Cue, it was a pleasure to connect with both of you..see you at Fenway tonight!